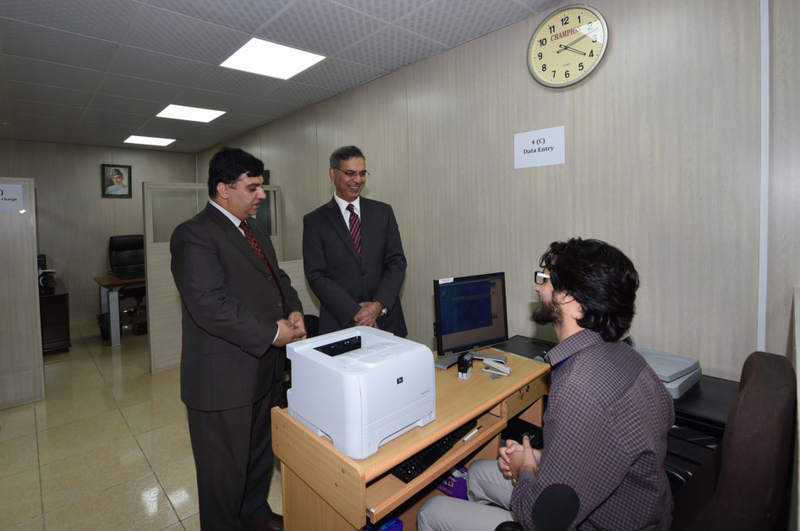 Dubai: Ahead of sweltering summer, a new consular services hall has been opened at the Pakistan Consulate General in Dubai to make it comfortable for applicants to renew their passports and identity cards. “Now, applicants, especially families and children will not have to wait in the sun and be served in cramped conditions in the crowded hall,” Ahmad Amjad Ali, Consul General of Pakistan in Dubai told Gulf News. Ali who joined the consulate in February this year ordered to build the facility in less than two month after he noticed the cramped conditions and heard complaints from visitors especially families about the difficulties they face durin their visit to the mission. He said that they have built a new expanded hall and also refurbished the two existing halls with seating capacity for around 250 applicants at a time. Number of counters including the data entry and biometric stations have also been increased to serve applicants as fast as possible. “Now an applicant will be able to complete the transaction within 15 minutes after reaching the counter,” he added. “We now have dedicated separate halls to offer passport, identity card and the visa services,” Ali said. 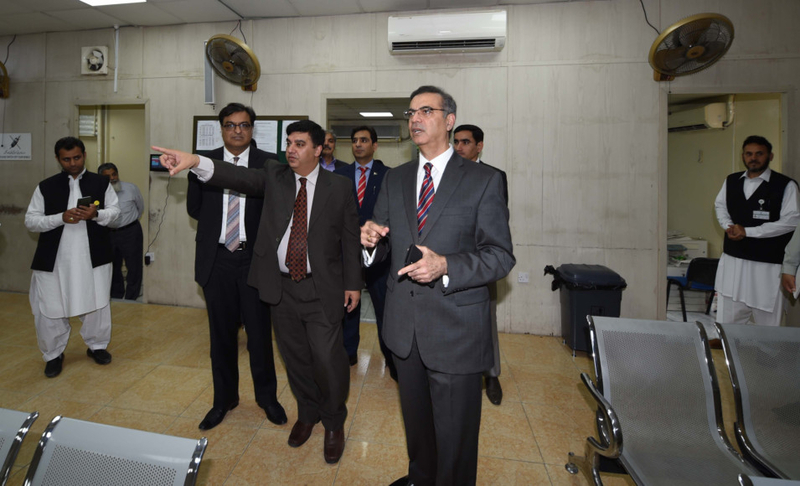 The new passport services hall can accommodate up to 150 people whereas the expanded hall for National Identity Cards for Overseas Pakistanis (NICOP) will have the capacity of more than 70 people and the visa hall can also accommodate around 30 applicants. 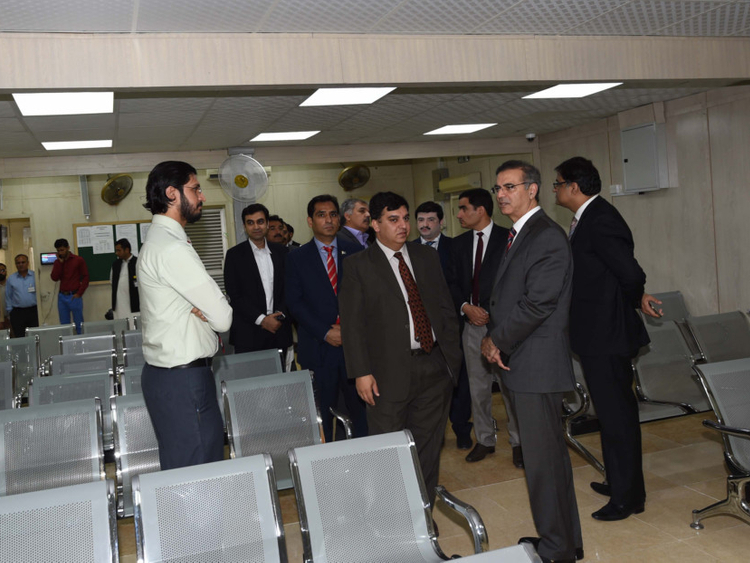 He urged the community members to use the online appointment system to avoid long waiting time at the consulate. “Preference will be given who take appointment online as they will be served within 30 minutes after they arrived at the mission,” he added. Ali made it clear that it was a temporary expansion until a new consulate building is built. “Within this year, we hope to move the consulate to a new building as the existing building will be demolished to build a multi-purpose consulate complex. He said that Pakistan government has approved construction of a new building for the consulate. “The construction work on the new multi-purpose complex will start with a couple of year as currently we are working on various logistics issues,” he said. He said there was an immediate need to expand the facilities at the consulate because the existing consulate building was built in 1982 when the population of Pakistanis in the UAE was around 120,000 but now it has increased to around 1.6 million. Also the building is old and falling apart.